The Bitcoin price has undeniably been in a strong bear market these last two months. From an initial value of $800 at the end of January, the currency has seen a series of crashes. First, the price originally slipped from $800 down to about $730 after a combination of announcements, including Apple finally removing blockchain.info, the last standing bulwark of Bitcoin’s presence in the iPhone ecoosystem, rumors that Russia was banning Bitcoin, and initial reports that MtGox was halting withdrawals. Since then, the price dropped to $530 when the news about transaction malleability leaked, quickly picked back up once the community realized it was MtGox’s fault, and dropped again and again as the situation on MtGox grew progressively worse. The price hit rock bottom at $400 when MtGox finally died, and then picked back up to $600-$700. 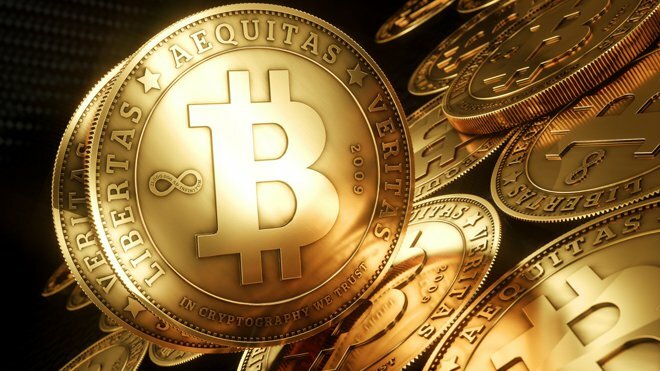 Now, however, the Bitcoin economy saw two more shocks: first, an IRS ruling saying that Bitcoin is taxable as property, meaning that Bitcoin users theoretically need to keep track of every transaction they make in order to calculate their capital gains liability, and finally a report, not yet confirmed by the People’s Bank of China but by all accounts true, that the banking system will be forbidden from interfacing at all with Bitcoin exchanges starting April 15. Given all this, Bitcoin is now trading around $500, 38% below its January level of $800 and 57% below its all-time high. At the same time there is another, more subtle, round of “bad news” for Bitcoin as a currency: it seems to have hit the limit of all opportunities at expanding in breadth. A study in February showed that 18% of British online shoppers would consider using Bitcoin in the future, and two studies this month showed that 48% of Americans know about Bitcoin and 34% of Britons believe that it is the currency of the future. For those who are hoping that another round of media attention will bring another 10x or 100x, hopes have been essentially completely dashed. However, the news has a very bright silver lining: the next step for cryptocurrency is expanding in depth. That is to say, the next step is turning people who have 0.0083 BTC they bought for $5 from an ATM into people who use Bitcoin as an integral and daily part of their lives. Stripe is now working with BTC – Stripe, one of the most popular online credit card payment processors, has announced their alpha stage Bitcoin integration. The integration is not yet available for everyone, but Stripe has announced the online backup service Tarsnap as their first customer; you can buy Tarsnap’s services with Bitcoin through Stripe’s API today. Overstock and TigerDirect sell $1 million in BTC – Overstock and TigerDirect, the two largest businesses to recently start accepting BTC, both surpassed $1 million in total BTC sales. Meanwhile, the much smaller cheapair.com (plane tickets) has processed over $700,000 and the precioud metals dealer Agora Commodities just topped $10 million. Bitcoin capital gains tax-free in Denmark – according to a news report, Danish tax authorities have decided that Bitcoin users do not need to pay capital gains tax on earnings from the Bitcoin price going up. Of course, losses will therefore also not be deductible. Exchange self-regulation and audits actually working – after the collapse of MtGox, there has been a large amount of attention on making sure other exchanges are not fractional reserves so that they might not meet the same fate. Kraken has submitted itself to an audit by Stefan Thomas using Bitcoin developer Greg Maxwell’s minimal-privacy-loss provable solvency scheme using Merkle trees, and Coinbase has been audited by Andreas Antonopoulos. Bitstamp has revealed that a $150 million transaction made last year was the result of an audit made in December. Meanwhile, BTC-E, arguably the single most opaque major exchange left, is coming under heavy scrutiny for its lack of transparency. You can pay with BTC on Amazon, NewEgg and BestBuy – this news saw little attention, but an application called ZincSave is allowing users to pay for products on Amazon, NewEgg and BestBuy, among several other mainstream stores, using Bitcoin. This is not some inconvenient giftcard trick; once you install the ZincSave addon there is a “buy with ZincSave” button right beside the ordinary checkout options. It is not an official endorsement of Bitcoin from these companies, but the user experience that it provides is equivalent and, importantly, it is not a fly-by-night altruistic gimmick; ZincSave operates by scanning the internet for discount codes and other saving opportunities, takes a cut of the difference, and actually allows the user to benefit from lower prices than they would pay with a credit card. Isle of Man targeting cryptocurrency friendliness – the Isle of Man, one of the smaller British Commonwealth jurisdictions famous for its status as a tax haven, appears to be pivoting towards specifically being a cryptocurrency-friendly jurisdiction. Exchanges situating themselves on the isle would not be required to obtain any license at all, at least for the time being. Institutional investment is entering Bitcoin – Barry Silbert has made a series of positive announcements this past week. First, he announced that he was meeting 38 institutional investors representing $250 billion specifically regardin Bitcoin. Second, he announced that large insurance companies specifically are interested in offering Bitcoin-related insurance products. Notable billionaire investor Bill Miller also announced his investment in and support for Bitcoin, and finally Andreessen Horowitz has announced that they are putting hundreds of millions of dollars into Bitcoin businesses. The Bitcoin price may have been substantially beaten down, but the currency buys you more things than ever before, the wide distribution of ATMs continues to make adoption easier, and the technology and the ecosystem are arguably stronger than ever.